Nepal’s decision to join China’s One Belt One Road (OBOR) initiative seems to have elated China to such an extent that Beijing has begun flashing its Nepal card. China has been quite candidly apprehensive of our commitment to a new bilateral partnership and had all but set OBOR as a crucial test. With Kathmandu now officially onboard, Beijing is thrilled that we have ended our vacillation publicly and authoritatively. It would be futile to assume that the signing of a framework agreement in Kathmandu alone would assuage Beijing’s underlying concerns about Nepal’s strategic commitments. But those apprehensions can perhaps be left for another day. We are neither directly connected with the Silk Road nor with the Maritime Belt that are being restored under the ambitious initiative. 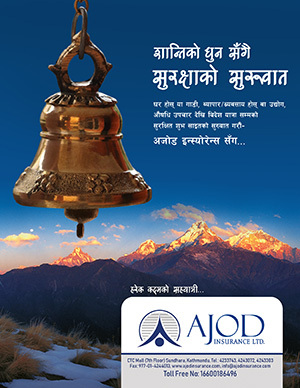 Nepal’s role is what it has always been: a strategic link between the Asian behemoths. China, which is extending its Tibet railway to Nepal’s border in RasuwaGadi, plans to lay tracks all the way to the Indian frontier in Lumbini. 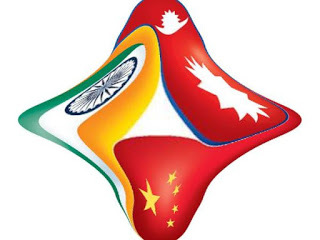 For now, Beijing sees Kathmandu’s participation as an eventual encouragement to India to shed its reluctance. Two leading Chinese analysts, in published comments, believe enhanced transport and trade connections between Nepal and China would eventually entice India. While asserting that the bilateral cooperation would not be easily disturbed by other external forces, Hu was cognizant of that other vital quarter. He stressed the need for major political parties in Nepal to forge consensus to effectively pursue and implement projects under OBOR. In other words, the devil is in the details. Still, the if-you-can’t-beat-them-join-them logic remains alluring up north. Wang Dehua, director of the Institute for South and Central Asia Studies in Shanghai, echoed Hu’s assertion that Kathmandu participation would ultimately nudge India to join OBOR. Indeed, key countries that have signed on to the OBOR initiative have done so in spite of all kinds of reservations, general and specific. As Ninan noted, India alone is manifestly hostile to the whole project. This is partly because of the sovereignty issue over Pakistan-occupied Kashmir, through which the China-Pakistan Economic Corridor, a major OBOR component, will run. Additionally, New Delhi is wary of a transport link from Kunming in southwest China through Myanmar and via India to Bangladesh where China would like to set up a deep-sea port. The latter, in New Delhi’s view, would complete India’s maritime encirclement. Obviously, India envisages its own regional connectivity networks. But so far, those are still in the imagination. The Chabahar port in Iran, envisioned as a route into Afghanistan and into Central Asia, has made little headway. Links to the Indian northeast through an Indian-built port at Sittwe in Myanmar remain stymied. Road and rail lines through Myanmar to Thailand and deeper into southeast Asia are even further from reality. In a nutshell, India has begun waving its Tibet and Taiwan cards with greater audacity. China’s Nepal card looks more innovative, at least in this case.